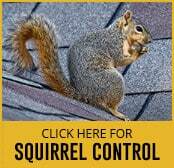 The grey squirrel or Sciurus Carolinensis is a species native to North America. Introduced in UK in the 19th century by aristocrats as a fashionable and exotic addition to the vast estates, these squirrels have today become quite prolific across the country. The Sciurus Carolinensis looks cute enough with grey or brown fur and a bushy tail. It can grow up to 30 cm in length and gain up to 600 gms in weight. The animal has four fingers on its front feet and five on its back, which is useful for bounding along. The main diet of the grey squirrels include different kinds of nuts, bark of trees, fungi, fruits, and grasses. They also dig up flower bulbs and take vegetables from gardens, leaving extensive damage in their wake. Sometimes, they also eat small insects and rodents, as well as bird eggs. Overall, their food habits make them a troublesome garden pest. Squirrels are hoarders and will collect food for the winter, burying it in safe places. They can find their hoard of food even months later because of their well-developed memory and sense of smell. They usually hoard more than they can use, and many of the seeds remain unclaimed, leading to the growing of new trees. The female grey squirrel can start breeding at 15 months and the pregnancy lasts for around 44 days. The males are mature at 11 months and can start mating. The squirrel has two litters born per year, with around four young per litter. The maximum number of young they can produce is eight. The favoured periods of pregnancy is December – February and May – June. The squirrels live either in permanent tree dens or in tree nests made of twigs and leaves. Usually, females live alone in the tree nests during pregnancy. When the grey squirrel was introduced into the UK, no one ever thought that it would result in the red squirrel’s gradual deterioration. Grey squirrels are bigger, stronger, and have better foraging abilities than their native cousins. They also have higher breeding rates. In addition, they act as carriers of the Parapoxvirus, against which the red squirrels have no immunity. This has created extensive damage to the population of red squirrels in the UK.